Rebecca offers One to One Pilates sessions in 2 formats. You can either do 60 minutes of Pilates or ‘Fusion’ of 30 Minutes Pilates with 30 Minutes of Sports Massage in a 1hr block. Rebecca’s One to One Pilates coaching is suitable for complete beginners or people who’ve done a little bit of Pilates previously. We generally recommend clients book Pilates sessions in blocks of 6 and budget enough time to attend at least 1 One to One Pilates session per week to get a noticeable benefit. When done regularly, Pilates is a great way to maintain strength and range of motion, which builds resilience to injury and pain. 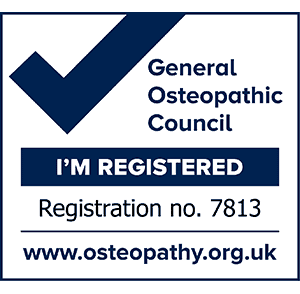 Rebecca is happy to see clients who have previously presented to an osteopath or physiotherapist at LMC or people who have not presented to us before who just want to maintain their health and build resilience to injury. Pilates is great for all ages and abilities! Pilates is great at providing both mobility and stability. It also helps a client appreciate how breathing drives movement and the positive effect this can have. The diaphragm has so many interesting anatomical attachments that, if it is functioning well, can have a positive effect on our overall health and well-being. Pilates encourages good postural habits and allows clients to apply what they do in the sessions to their everyday activities as their intelligent body starts to re-learn how to move more efficiently. At the start of the initial session, Rebecca will assess your posture and range of motion in various exercises. A Pilates exercise plan will be devised accordingly and Rebecca will ensure that they are done correctly and safely. The plan can then be emailed to you to enable you to safely do the exercises in your own time at home, work or on your travels. In Rebecca’s experience of teaching Pilates, a HUGE percentage of her clients that originally presented with aches and pains have gained a noticeable difference after a few months of regular Pilates sessions. Book 6 x 1 hour 1:1 pilates sessions for £216, saving 10% from PAYG price of £40 per session! Click here to book your first One to One Pilates session with Rebecca.